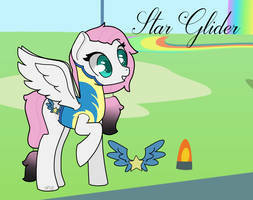 Vector trace from one of the shots of the Wonderbolts Academy from Season 3, Episode 7. 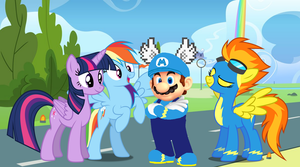 This is also the default background for the "Spitfire" and "Soarin" themes on Ponyhoof, an extension to ponify Facebook. Thank you! I used it for wallpaper - [link]! Hope you like it!